New bat regulations were expected to reduce scoring in high school baseball this season, and for many teams that has been the case with 4-3 scores replacing some of the 17-7 finals that had become commonplace. Arbor View must not have gotten the memo. The Aggies scored 10 or more runs for the seventh time in 12 games on Friday, earning a 16-5 six-inning road victory over Centennial. 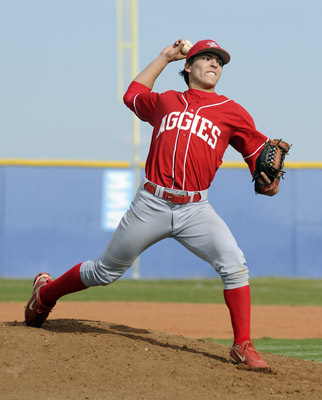 Arbor View (11-1, 2-0 Northwest League), which is averaging 11.3 runs, wasted no time against imposing Centennial right-hander Bryan Bonnell. The Aggies jumped on the hard-throwing, 6-foot-6-inch Bonnell for four runs in the top of the first inning. Jordan Godman set the tone with a leadoff triple, and he scored on a wild pitch. 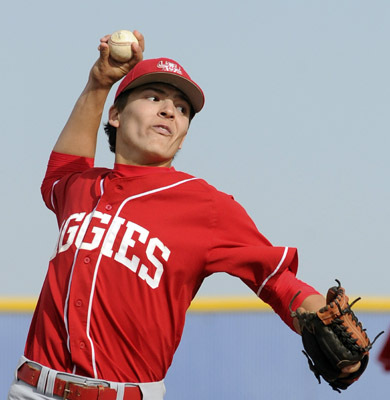 The Aggies added a run-scoring double from Ryan Chen and were helped by a pair of errors. 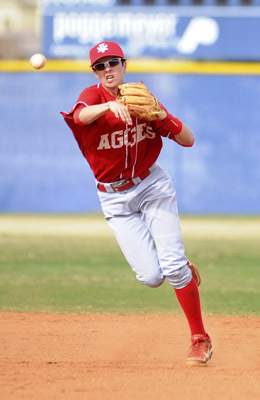 Arbor View got a solo home run by Evan McMahan in the second, then scored six runs in the third, chasing Bonnell in the process. McMahan, a junior right-hander, took advantage of the early lead and pitched a solid game. He allowed four earned runs on seven hits with six strikeouts and didn’t walk a batter. Bonnell and Michael Yenkowski each hit solo home runs for Centennial (8-2-1, 1-1). Godman went 3-for-4 with two runs, and McMahan was 3-for-5 with the home run, a double and two RBIs for Arbor View, which had 14 hits. Tyler LeBaron added a solo homer for the Aggies, who have 16 home runs and have homered in nine of 12 games.